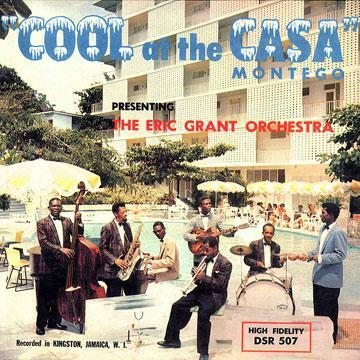 A masterpiece of Jamaican Jazz recorded in 1960 by the Eric Grant Orchestra, resident band of the Casa Montego Hotel in Montego Bay. Rhythm & Blues, Jazz standards, Cha Cha Cha, Merengue and Calypso all combine in this wonderful amalgamation of sounds. Produced by the first Jamaican studio, Federal Records, and its founder Ken Khouri, it is now re-issued for the first time ever. No.3 at Total Ranking on Apr 8, 2019. No.1 at Genre Ranking on May 27, 2012. No.1 at Sub Genre Ranking on Feb 25, 2019. No.1 at Format Ranking on May 27, 2012.